When it comes to choosing a smoke alarm for their home, the majority of people are aware of the importance of their decision. Not only could the alarm potentially save the lives of themselves and their family members by alerting them to a fire or the beginnings of one, but they could also rescue their property and possessions as a result of the early warning. In addition, it is a legal requirement for rented buildings and commercial properties to be fitted with a smoke alarm. Therefore, whether the decision is a common sense one or a legally binding one, the focus comes to which sort of smoke alarm to choose. 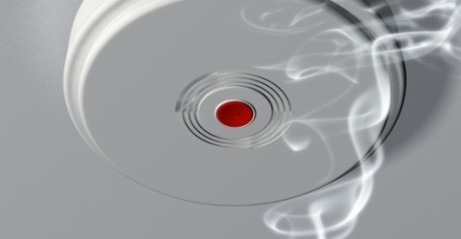 There are a number of different types of domestic smoke detectors with a variety of capabilities. However, in most cases, the decision comes between battery smoke detectors and mains smoke alarms. There are a number of reasons for choosing each and in many cases, the decision will come down to a personal preference, especially as all smoke alarms have to be produced in accordance with British safety and quality standards. In many cases, wireless smoke detectors are chosen for the fact that they are wireless. This, in the eyes of many makes them fast, simple and effective. Many people see the word wireless and think high-tech. Therefore, they reason if everything else in their lives is wireless, why not their smoke alarm. However, a further advantage to choosing wireless is the lack of fuss and mess which comes with them. These can be instantly installed with little mess, no drilling and an instant guarantee of safety. There is also the fact that many people would prefer a home or business with as few wires cluttering up their working or living area as possible. A lack of fuss when installing the Kidde smoke detectors also means that the home or business is allowed to go without disruption, which is often not the case when a device has to be wired or professionally fitted. Finally there is the consideration that for many listed and historical buildings where an alarm is highly necessary, wiring is forbidden. Therefore, a wireless smoke detector is the only available option. Despite the many advantages of wireless smoke detectors, they are still seen by some people as being “new fangled” and as a result, many people prefer to have a system hard-wired into their home or business because of real or imagined quality over the wireless alternative. However, whilst much of this thinking is put down to people simply being unable or unwilling to move forward technologically, there is some evidence to support the idea. Not only is it proven that wired smoke alarms are more reliable but with no maximum distance between detector and control panel there is less chance of something going wrong in the event of an emergency. There is also the convenience of not having to check the batteries on a regular basis which makes a wired in smoke alarm a more attractive idea. If you are looking for smoke detectors or security products for your home visit Alarm traders Direct.